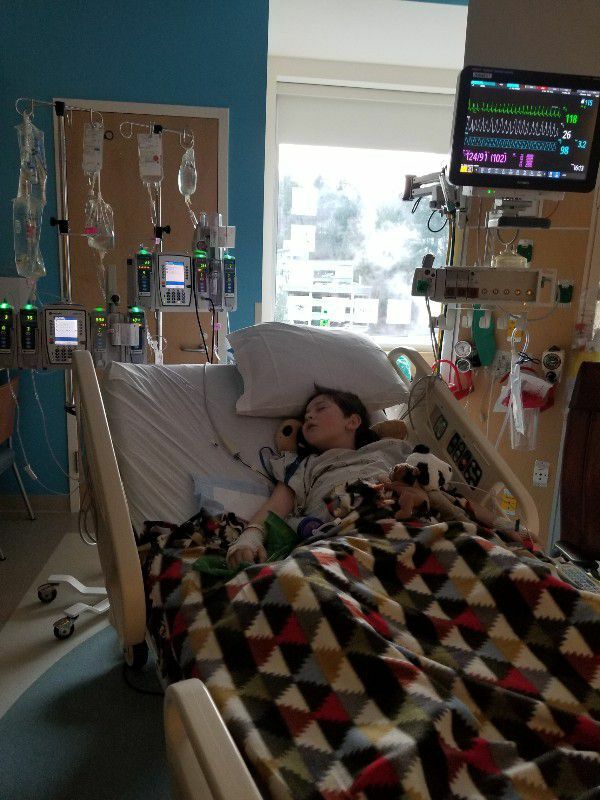 PORTLAND – An Oregon boy died in Portland over the weekend after an eight-day battle with flesh-eating bacteria, and now his mother is trying to warn others. Sara Hebard told KPTV she wants other parents to know how easily and quickly this disease spreads, explaining that the tragedy all started when her son fell off his bike. She explained her 8-year-old son Liam Flanagan was riding his bike on the driveway of his family’s farm in pilot rock when he took a bad fall. He went to the emergency room in nearby Pendleton with a bloody thigh wound near his groin. At first, Hebard said she treated it with Tylenol, but the pain seemed to get worse – much worse. Hebard said they took Liam back to the hospital in Pendleton where he had emergency surgery. He was then airlifted to Doernbecher Children’s Hospital in Portland where he underwent several more surgeries. Flesh-eating bacteria can spread very quickly. Doctors tried to cut it out from muscle and tissue stretching from Liam’s ankle to his armpit. A GoFundMe has been set up for the family, and more information can be found here.